Issued in 1964, Bazooka produced a 36 full color set of card on 12 different 3 card panels. The cards are all numbered on the front and have blank backs. 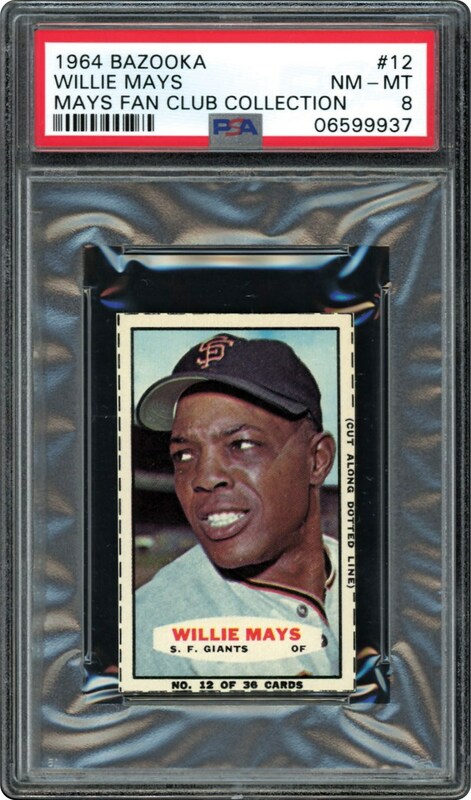 Offered here is #12 Willie Mays "Looking over right shoulder". 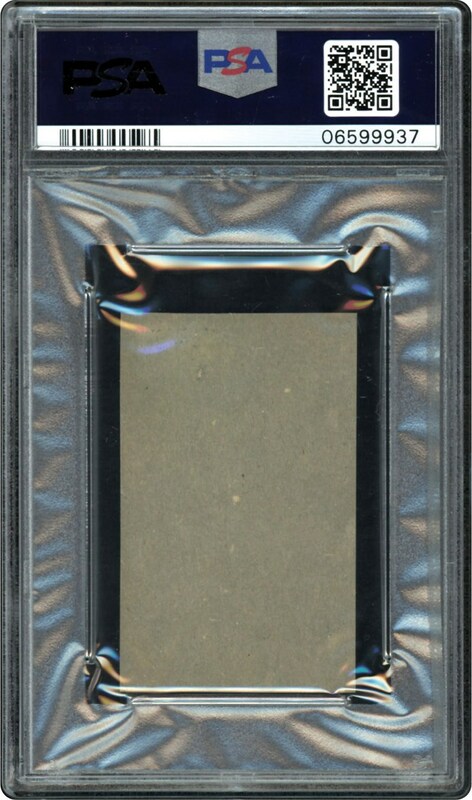 This card is Hand Cut and in a PSA 8 holder. Low pop with 3 cards grading higher.